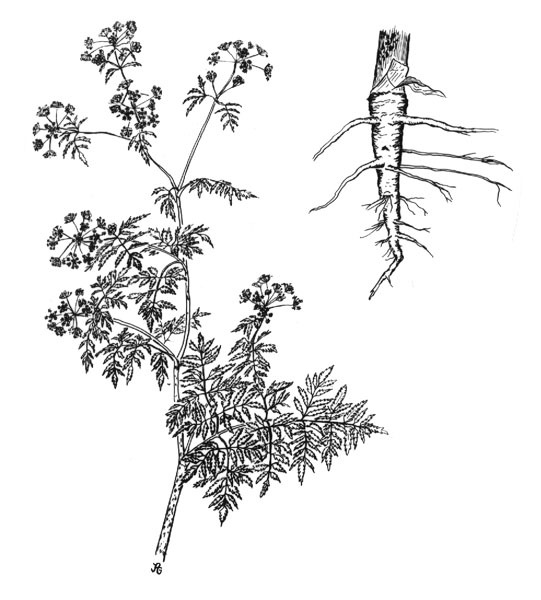 Poison hemlock (Conium maculatum) is native to Europe but is now widely distributed. It contains a highly poisonous group of alkaloids with a common piperidine structure which are toxic to all classes of livestock and to humans. Many people have been poisoned when they mistook it for parsley. Poison hemlock is often found on poorly drained soils, particularly near streams, ditches, and other surface water.